As a lifelong MA resident, I was mightily impacted by the recent battle over control of the revered Market Basket grocery chain. Regardless of what you read, this has always been a case of the monied class and how they view money. The two cousins, Arthur S (hhhhiiiiissss) and Artie T (woo hoo!!!! ), could not be further apart in their utlity of it and the lifestyles they, as billionaires, live. Artie T worked at building up the business by giving to his employees, thereby garnering their respect and loyalty. Arthur S lived off of his dividends, which he then used as collateral for an investment firm. This recent fight came about because Artie T is getting on in years and he wants to leave the business to the employees, so they may benefit from the work that they do. Arthur S saw an opportunity to convince one of his family members to switch their loyalty (only family had until today owned shares in the company – I’ll get to that), by promising her a share of the abundant cash on the books. She voted with him to remove Artie T as CEO and they hired two people one with a business killing track record. James Gooch, oversaw the near demise of Radio Shack, and Felicia Thornton who had grocery chain experience, as CFO. The first thing that Arthur S did when he had his team in place was to liquidate the cash on hand. I don’t know any business school that teaches that. Next he moved to firing the protesting management in the home office, replacing even accounts payable, with temps. That led to missed payments followed by over payments that lost MB at least three large vendors. Until today they too were a part of the protest. The removal of Artie T was what started the management’s protest. The employees’ respect and admiration for the management led to the employees aligning themselves with the protestors. The customers (I am one) seeing how management was being treated, joined in. Artie T was fighting against the unabashed greed of his financial class and across three states the residents, customers and employees alike cheered them on. We rallied with them, even a few politicians got in on the act. They (and we to a lesser degree) stood strong and in the end we all won. I am hoping that, as in Lexington and Concord many years ago, what went down a few miles away in Tewksbury will wake up the employees the world over, we the customers will always have your backs. When we fight, we win. Cuando luchamos, ganamos. The deal that was finalized last night will give 85% ownership to Artie T and 15% spread between investors and Artie T’s family. First thing this morning I went into my local Market Basket. The shelves are empty, they were stocking dry foods. The produce section is bare. There were three steaks in the case. I didn’t check anywhere else. I just went in to get my Market Basket honey bear for my morning toast. I did give out a big yahoo and got to hug and shake hands with all of the employees. They should be taking deliveries by tomorrow. And three states and their residents are grateful to all who stand with their colleagues and communities against those who think money ranks higher than people. So true. Wish more people believed it. Gentle friend sillylittleme do not fear. They live it. Without recording or acknowledgment. I wish there were a game called “How many people can you help before you die”. And the winners would be everyone you saved. Great summation, slm. Not knowing about this for obvious reasons, I certainly know now. It’s really something when people get together to fight for a common cause, and an added bonus when they win. I firmly believe that the people possess the power to bring about change, and this story has just proved it. Thanks for the post, slm, it was a pleasure to read it. Kudos to all who became involved and stuck with it to the end. Hello SLM i like this article and how you wrote it. Just now i heard the CEO got his job back. Excellent explanation of what is happening during this “family” ordeal. Greed is the cause of the actions of the side of the family that wishes to try to increase the bottom line at any cost, regardless of how it hurts the employees, or fired CEO Arthur T. Demoulas who is actually a family member. Can business be a force for good, restoring society and the environment, providing solutions that genuinely help rather than hurt? Ought business to be striving for more than just limiting its negative impact? I think we intuitively know it can, it just requires courage to break rank from the current business paradigm of benefiting some at the expense of others. Arthur T. Demoulas appears to be trying to shift this horrible paradigm that the rest of his family seems to want to nuture, let’s hope he succeeds in his effort. More CEO’s and employees need to stand up and fight back. This is a great story, and is tantamount to what is needed in order to turn this country around. Thank you for posting this well written article. I have been watching this story,in amazement, on the news. This could be the start of something big. I hope it is the start of a chain reaction. It is long past time for businesses to realize that they exist for more than the bottom line. What was so interesting about this is that it brought left and right together. Everyone understood the implication of not being able to shop for groceries. And for many localities, like mine, no other grocers exist. 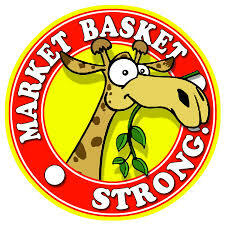 We don’t have Market Basket here where I live, but after reading about the sincerity of the CEO and the workers when it comes to the care of their customers, I truly wish we did. I was overjoyed to here that the Artie T’s cousin sold his shares and control of the business to Artie T. What a wonderful outcome to this story of determination by CEO and employees alike. This company is a true example of business could and should be IMHO. HI Ma just sitting hear listening about this on MSNBC the CEO caught his job back. Hello RSGmusic! I watched that on MSNBC also, it was a wonderful segment in the program, and a great outcome to a story where I believe the employees and a caring CEO won big over GREED and the devolution of business in this nation. HI MA yes i agree with your post. I had a plant manager like the CEO that got the job. He was a man who gave his all with his employees and production went up 50 % at the plastic plant i worked in as a chemist. SLM, I’m here in Vermont and we don’t have MB here. I would love to have a store that pays its employees fairly and has decent products here in Vermont. I really like Artie T. as far as rich people go he sounds like a fair guy. Honestly if a business treats its employees well it will flourish! Sounds like MB will flourish. This has been a classic tale of decent, ethical business management (that was really working — providing products people wanted and wages that allowed employees to have a little dignity) versus Mitt Romney style grab-the-cash-fire-the-workers-and-run tactics. All in the same family. It had all the makings of a Greek tragedy. Except, it didn’t turn out tragically! Chalk this up in the “win” column for consumer power, workers’ rights and for decency in general. 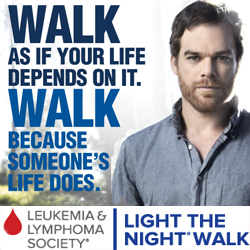 Thanks so much for sharing this with us, SLM!